Senior Andrew Wang wrestles his opponent, Gunn High School senior Koh Suzuki, to the ground during a dual meet against the Titans on Tuesday, which Paly won 41-25. Wang defeated Suzuki with a score of 20-6. 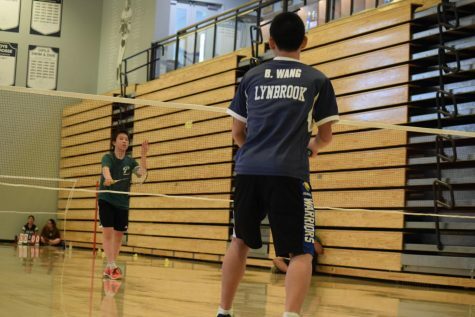 "My opponent was looking to do big throws on me and he was a little bit dangerous, but I handled it and I saw the signs … everything was under control," Wang said. Photo: Benjamin Huang. Palo Alto High School senior Andrew Wang wrestles his opponent, Henry M. Gunn High School senior Koh Suzuki, to the ground during a dual meet against the Titans on Tuesday, which Paly won, 41-25. Wang, who had recently come back from injury, defeated Suzuki, 20-6. 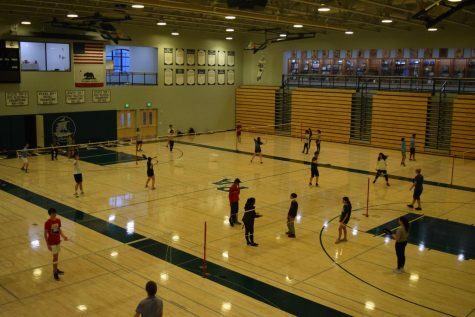 “Sometimes I feel a little bit slower than before, but I’m not letting it affect me because now my head is in the match,” Wang said. “No part of me is really thinking about how I’m injured or how this is going to slow me down.” Photo: Benjamin Huang. The Palo Alto High School wrestling team (3-1) repeated last year’s success against the Henry M. Gunn High School Titans (2-2), winning again in a dual meet, 41-25, on Tuesday at Paly. 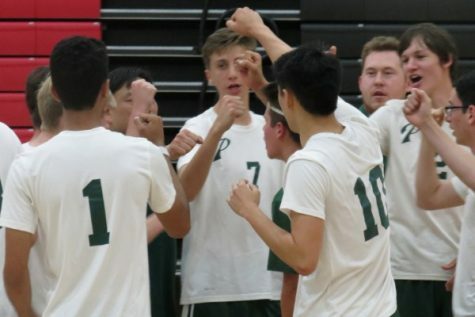 The Vikings, who are ranked sixth in the Central Coast Section, took an early lead when freshman Max Felter pinned his opponent, earning Paly six points. 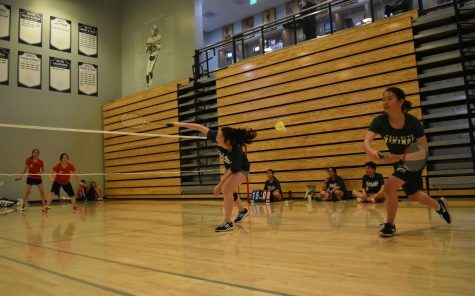 Gunn sophomore Justin Lin defeated Paly junior Zoë Wong-VanHaren after a close-fought bout, 13-9, adding three points to Gunn’s total through a win by decision, awarded when one wrestler gains a lead of between 0 and 7 points over an opponent. 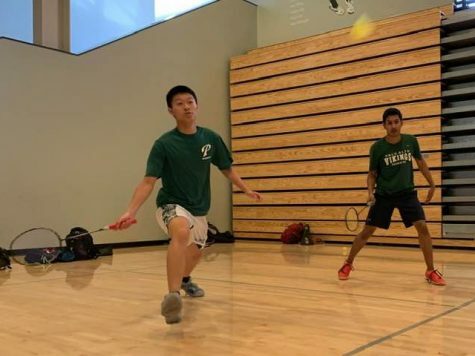 The Vikings then began a three-win streak, with juniors Peter Graham and Dara Heydarpour and senior Andrew Wang defeating their opponents with scores of 19-4, 18-6 and 11-3, bumping up Paly’s score to 19. 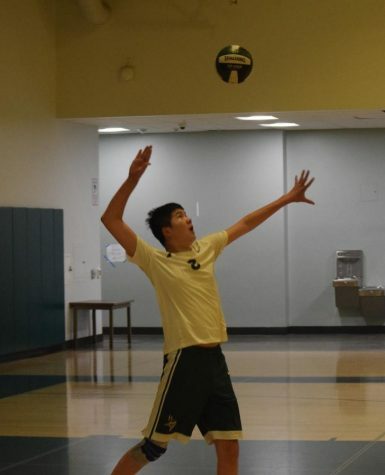 Wang, a team captain and a finalist in the Central Coast Section championship tournament, said he was proud of his performance. 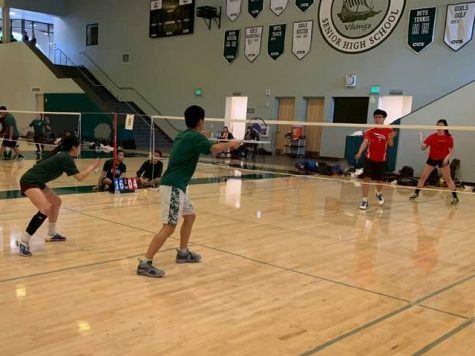 According to Wang, Gunn is Paly’s toughest competition in the Santa Clara Valley Athletic League, besides Fremont High School and Cupertino High School. Seniors Charlie Williams and Aidan Gans both managed to defeat their opponents through pins, earning Paly six points for each victory. 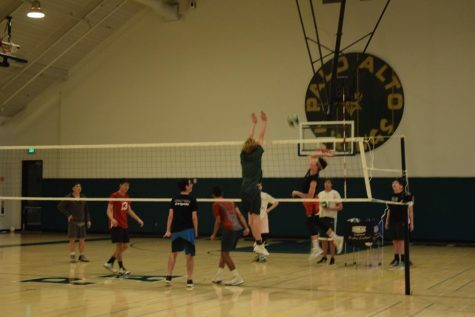 The Titans did manage to score some wins, with Gunn seniors Timothy Waymouth and Dash Lee defeating Paly’s sophomore Halo Lynch and junior Macguire Ferrell, respectively, and improving Gunn’s score to 25. 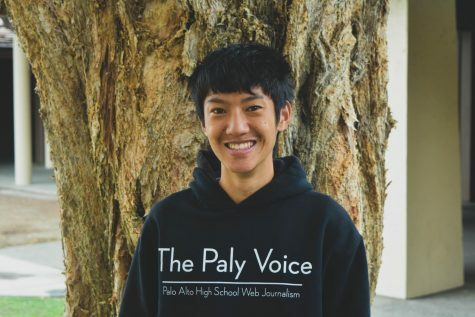 However, Paly still managed to come out on top. Kessler said that each meet gives the Vikings valuable experience for their main goal: the league and state tournaments. 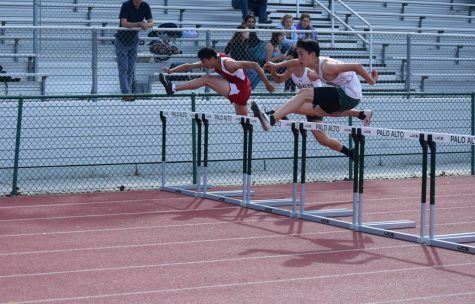 The Vikings’ next meet is against the Trojans of Milpitas High School at 6:30 p.m. tomorrow at Milpitas High School.